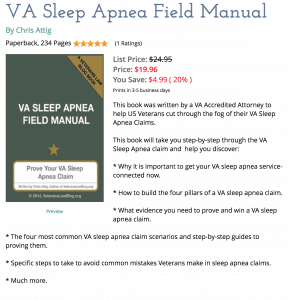 How much VA Claims Evidence do you need? Last week I got a Mail Call request from a Veteran – he had 2 negative medical opinions and wanted to know if he get 3 favorable opinions if that would be enough to win his claim? Or if he just needed 2 to put it in “equipoise”? Really, what he was asking was how much Evidence is enough? The VA Claims Evidence Thermometer. I use the concept of a thermometer to show how much evidence to put in. Picture a thermometer that only has 0 to 100 degrees. Before we use that thermometer to illustrate the most common burdens of proof, let’s talk about what a burden of proof is. A burden of proof is a legal term of art (another one of those $100 Lawyer Words) that says how much evidence a particular side needs to prove a particular issue. If YOU carry the burden, then YOU have to make the proof. If the OTHER side carries the Burden of Proof, it’s their job to make the proof. This is important – in many types of reduction claims, for example, the VA carries a very high burden of proof. They have to get the evidence, they have to make the argument, and they have to meet the burden. In most service connection claims, the Veteran carries the “burden of proof” – meaning he or she has to develop the right evidence, make the arguments as to what that evidence means. 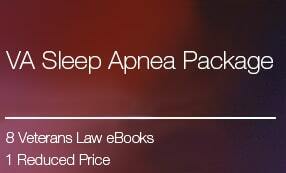 Different types of legal issues have different types of burdens. The one that you are most familiar with is the one that you hear about in TV crime/law shows: “Beyond a Reasonable Doubt”. In order to win their case, the prosecutors in criminal law cases must get enough evidence to prove to the jury that the alleged criminal committed the crime “beyond a reasonable doubt”. Which brings us back to how much evidence to put in your VA Claims. The answer to that question largely depends on the Burden of Proof. “At Least as Likely as Not”. This is the “burden of proof” that a Veteran carries in their VA claim. If it is “at least as likely as not” that your medical condition is related to your military service (i.e., not CAUSED by your military service), you should be able to win service connection in your VA Disability Claim. 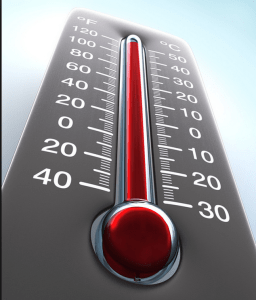 On our Evidence Thermometer, this is illustrated when the mercury is at 50 degrees. There is an even balance between “hot and cold”. While someone else might have a different opinion – even if their opinion is totally reasonable – as long as it is “at least as likely as not” that your medical condition is related to your military service, you have met this burden. Courts sometimes refer to this as the evidence being in “Equipoise”. Notice how nobody ever really SAYS the word equipoise? That’s because at least half of the people that say it are pronouncing it wrong. There are 2 ways to pronounce the word – and nobody really knows (or cares, really) – which is the right one. However, using that to illustrate my point – because it is at least as likely that you are correct to pronounce it “EH-kwi-pose” as you are to pronounce it “EE-qua-poise”, you have met your burden of proof. This is most commonly a form of “weighing evidence”, not necessarily a “burden of proof”…but I don’t want to get into lawyer semantics here. To get enough evidence in the VA Claims Evidence Thermometer to meet this “burden of proof”, you just need to get the mercury just a hair-width above 50 degrees. Here is a way to visualize the Preponderance of the Evidence. Imagine you have a scale. 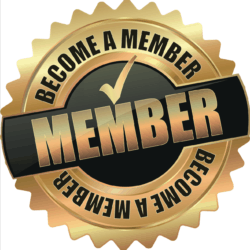 On one side of the scale – you put ALL the 5-Star evidence that supports your position. On the other side of the scale, you put all the evidence that cuts against your position. When you have put ALL the evidence on a particular issue on the scale, if it tips the slightest amount in your favor, then the “preponderance of the evidence” is in support of your claim and you have met your burden of proof. Don’t confuse this with a CUE Claim (aka, a Motion to Revise an Effective Date due to Clear and Unmistakeable Error). Clear and Unmistakeable EVIDENCE is totally different from Clear and Unmistakeable Error. Clear and Unmistakeable EVIDENCE is a lot like the civil justice standard of “Clear and Convincing Evidence”. “Clear and Convincing Evidence” is the second highest burden of proof in the American Jurisprudence system. It is just a little more lenient than the “Beyond a Reasonable Doubt” standard in criminal cases. Basically, to show clear and unmistakeable evidence, the party with the burden of proof must produce enough evidence to produce – in the mind of the trier of fact – a firm belief as to the facts being established. NOTE: You have to produce the conclusion in the mind of the trier of fact. Most Veterans assume that if the evidence persuades the Veteran and his/her friend, it will be enough. I am a firm believer that a Veteran really has to step out of his or her own mind and think like a BVA Judge if you are going to meet your burden of proof in a VA Claim. This is why attorneys are such a good option for Veterans – it is easier for us to see your case like a BVA Judge because we have not been emotionally invested in a 3-10 year battle with the VA bureaucracy. This burden of proof frequently falls on the VA to carry. Rebut the Presumption of Soundness. Rebut a presumption that PTSD is related to military service when there is a diagnosis of PTSD on active duty. Reduction of some kinds of TDIU ratings may require the VA to provide Clear and Convincing Evidence. These are not all of the Burdens of Proof in a VA Claim. They are just the “Big Three”. What VA Claim Burdens of Proof do you have questions about? 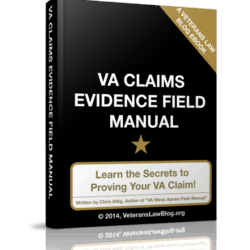 How about evidence questions – what VA Claims Evidence questions can I answer for you? Feel free to ask about them in the comment section, below.